On the drive into the mountains the other day, we were on a twisty mountain road and came across the surreal sight of a bridge leading directly into the rocky face of a mountain. 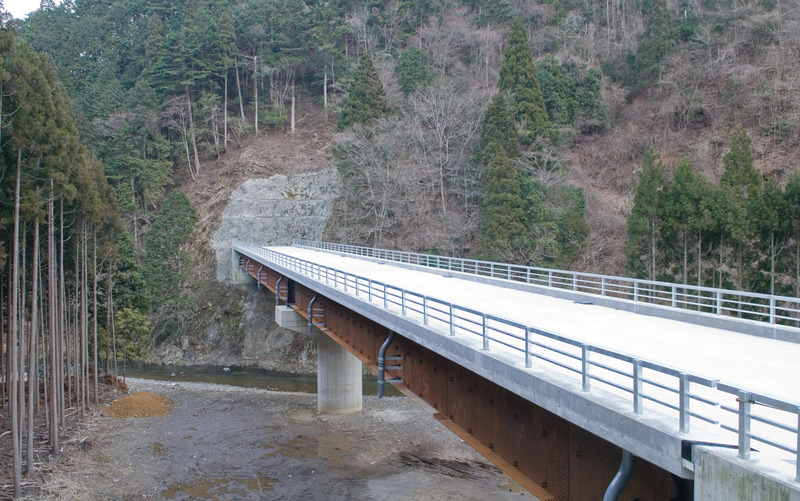 Taking this bridge would mean a really short trip. I can't fathom why these bridges were built. Even if I had free rein to spend other people's money in any way I wanted (that is, if I were a politician), I could find so many thousands of better things to waste money on than this. Take a look at this map (via Google) that shows that the second bridge has been there long enough to actually appear on the map, indeed, coming from nowhere. This shows that they're building two bridges and boring a 90m (100 yard) tunnel through solid rock, all to turn a pleasant, scenic 500m (0.3 mile) section of road into a 300m (0.2 mile) drive. Where is the sense in this? If the tiny section of road being bypassed were somehow a bottleneck or dangerous, I could understand, but it's quite tame by any standard, and downright pleasant in comparison to other sections of road nearby, which are indeed narrow/windy/dangerous. It just makes absolutely no sense. Welcome to Japan. It’s possible that it’s being done because that tight hairpin bend of the river becomes problematic during thaw season and such. Maybe the erosion issues at that point are such that the river is washing out the road slowly (or even regularly… there’s plenty of roads in my area that really *should* be diverted because — even if you can’t see it by looking at them — every winter like clockwork the spring thaws wash them away and they’re completely rebuilt year after year). Dunno if that’s the case, but it at least might offer some explanation. That would make sense if it were an isolated curve, but as I noted, it’s quite pleasant, and as straight as an arrow compared to other sections of the same road. Consider this section of road a few miles to the south-east, which is full of steep hairpins. 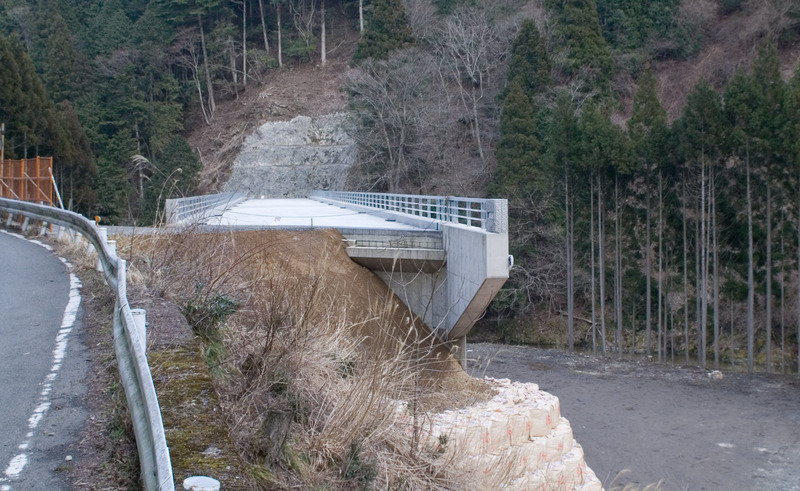 Regardless of your approach, you’ll have to navigate steep hairpins like this on either side of the bridges. Surely nothing more simple old-fashioned pork barrel politics at work. That’s our taxes, that is. 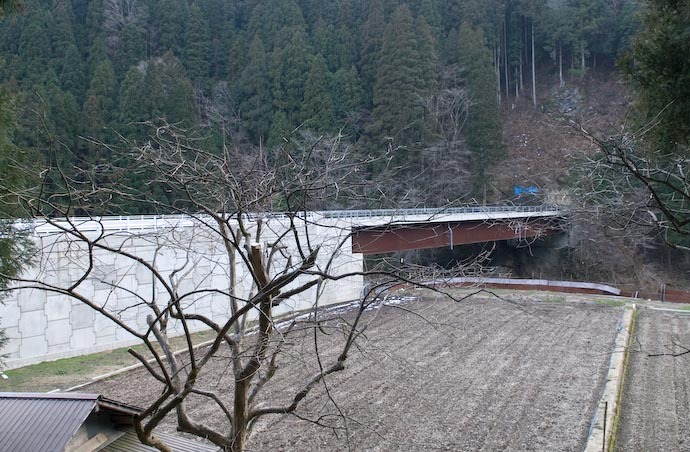 A possible third opinion might be that building the roads first allows much more convenient access to removing the earth from the tunnel and adding shoring as it is dug. 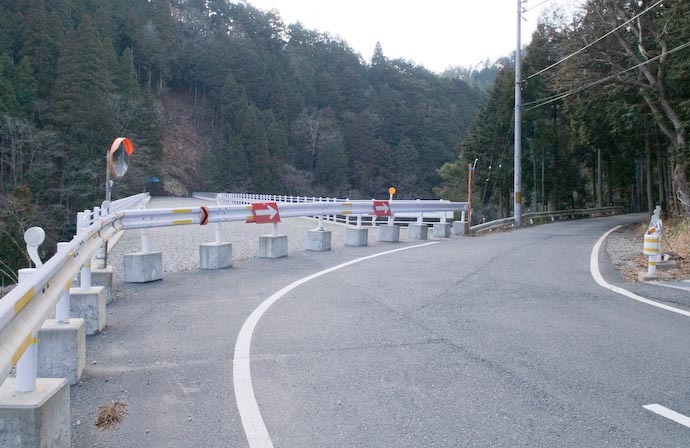 It seems that some sort of access road would be needed even to begin construction, so instead of building both a tempory and a permanent road, they let one suffice,thus saving money in the long run. However, that doesn’t seem to be how government works as a rule, so Derek and Dan probably are both right. 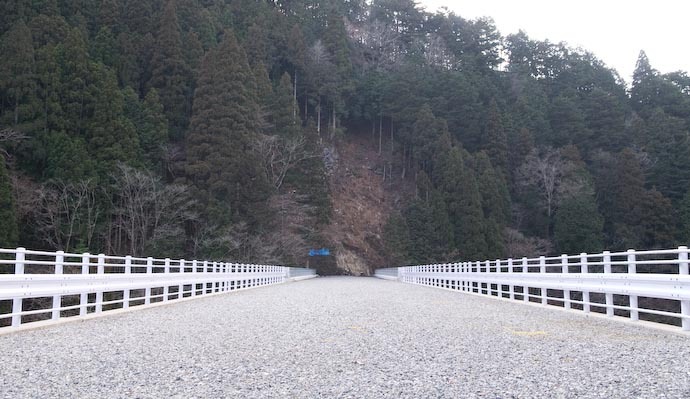 I was less concerned about hairpins in the ROAD as I was about hairpins in the RIVER. Hairpins in a RIVER are recipes for erosion issues, and considering that the road at that point seems to be nearly right above it (or at the very least, in the area that would be being eroded away), it might be a proactive measure to prevent the road from being wiped when that bend finally wears that road away. Now that’s not the tightest river-bend I’ve ever seen, but judging from the photos, it looks like it’s the kind of river that sees some significant increase in flow during thaw-season. Nice find! Reminds me of our mountain areas up here in Iwate, where many such shortenings are built in places where they don’t seem very necessary, and lots of incredibly wide roads lead to incredibly small villages. Welcome to Japan, as you said. hmm, let’s see, shortening the distance between 2 points, allowing less time wasted in the travel process… Which part exactly doesn’t make sense here? I have never seen anything like this before. Surely, the planners got fired for coming up with this costly mistake. 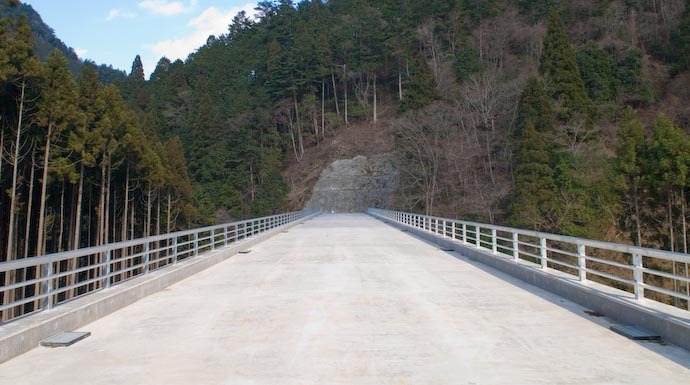 Japan is famous for its overbuilt infrastructure. Basically, the government doesn’t know how to stimulate the economy, except by building infrastructure. So they just keep building infrastructure. Even when it’s already overbuilt, they continue to build more and more. The planners are basically in the situation of having to come up with places to spend money, even when there’s no need for it. 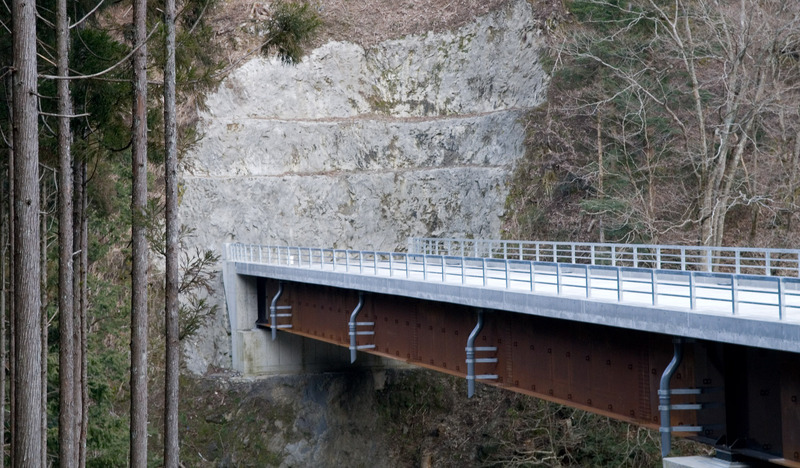 Bridges and tunnels are good ways to “absorb” excess money, because of their extreme cost. Nice, when you walk around with google map, you can see pictures of the tunnel being made. Probably better in winter or for big truck.